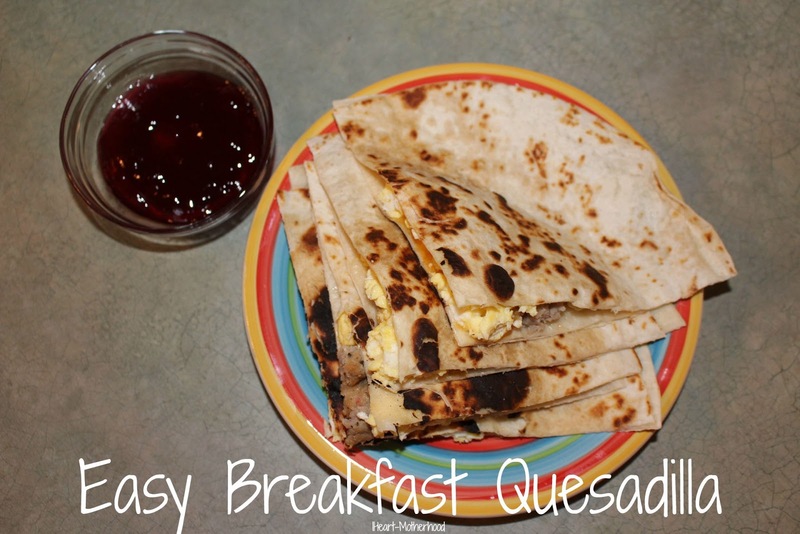 These Easy Breakfast Quesadilla's are perfect for the weekend or make ahead and enjoy on a busy week day morning! In a large skillet, scramble your eggs to your liking and set aside in a bowl. Using another skillet, cook about 6 of your breakfast sausage links to liking, then slice and dice. 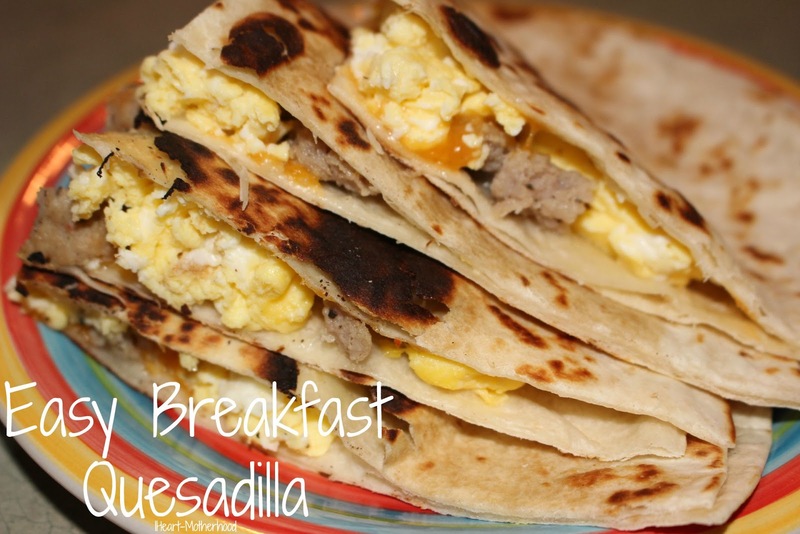 Take a large tortilla and add on a spoonful of scrambled eggs and a spoonful of sausage. Sprinkle with cheese, then cover with another tortilla. On medium to high heat, cook your quesadilla, flipping over until brown on both sides. Be careful not to burn! Repeat until all tortillas are done, with each tortilla use a pizza cutter and slice into four. Serve with a side of salsa or your favorite jam! Makes about 4 large quesadilla's (before sliced & shared). Fun twist on quesadillas! I'll have to try these, bet my kids would love them.